For Valentine’s Day I decided to give Bean a floor cushion to go with the books I had already planned to give her. Last year I made a fun floor cushion for one of our friends’ little girls’ birthdays and I had every intention of going back and making another one for Bean. Time goes by, I never made another one, and I realize it’s been a year so it’s time to remedy that. 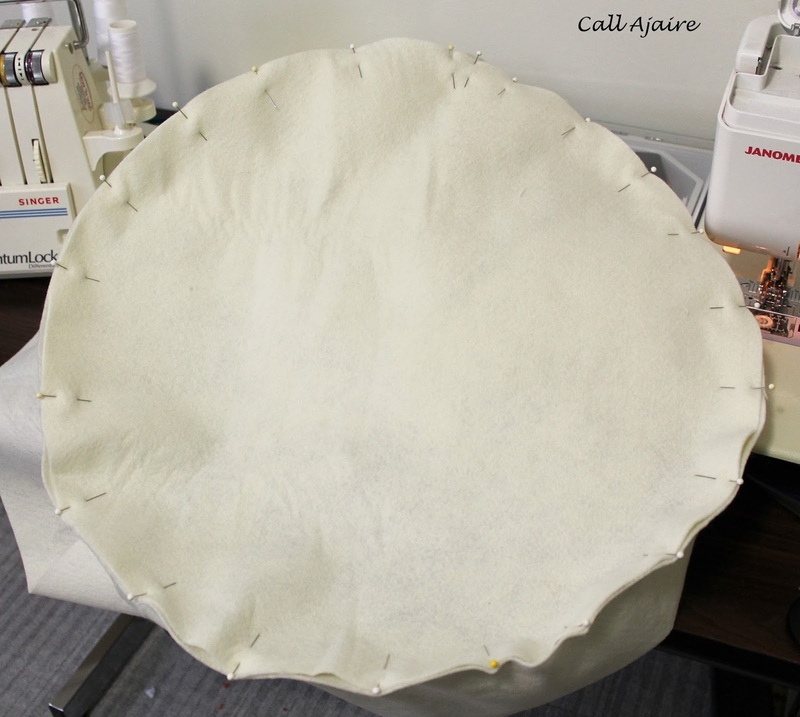 In order to be able to keep the cushion clean and throw it into the laundry, I thought I should make an inner cushion this time and make the outer cushion removable. 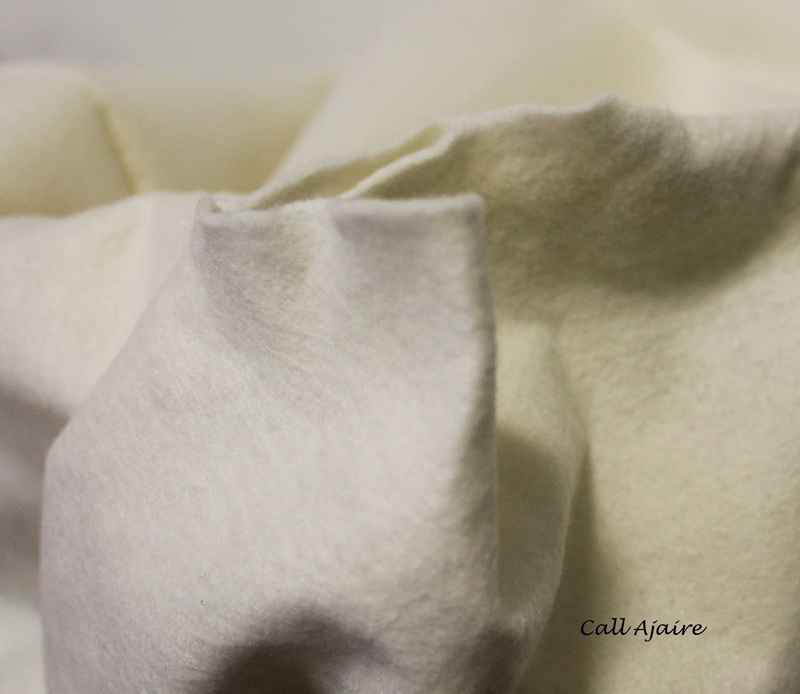 So I started with making the muslin which would be the inner layer. I know I’ve teased this already here and here, but I’ve divided this into two posts because it was getting way too long with both the inner and outer cushion. 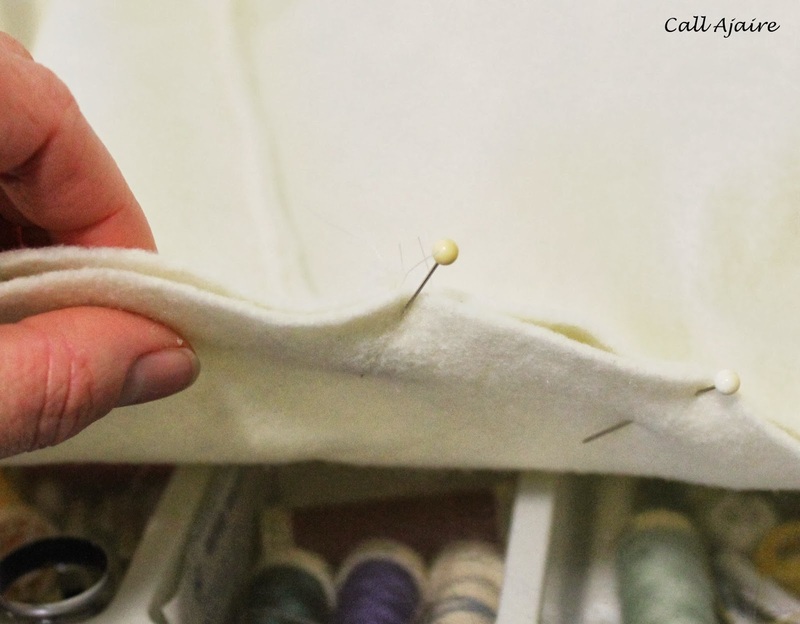 So today I will focus on the inner cushion and tomorrow I’ll show you how I made the outer removable cushion covers. And yes, that’s plural (covers) because I made two. But you’ll have to come back to see why, hehe. When I made the cushion last year I didn’t use a pattern, but since then I’ve seen a few posts on how to make a floor pouf that are great. Living With Punks’ seems to be the most popular on pinterest and it’s really well done. I found through some trial and error, that it is best to have an inner cushion that is a larger shape than your outer cushion will be. 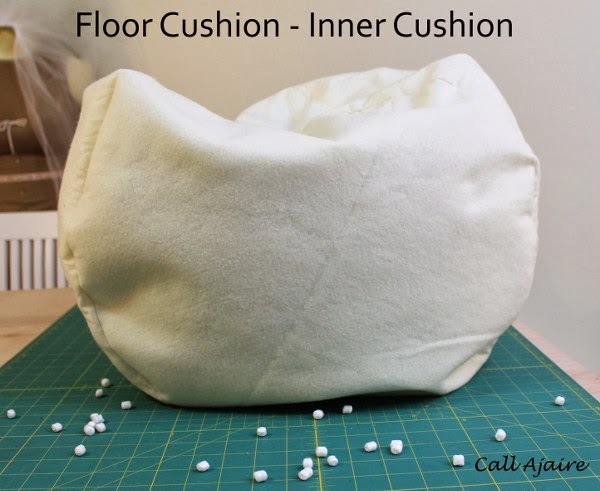 The reason for that is so that you can fill it with as many beads as you’d like the outer cushion to have in order to be comfortable, but still be able to squish the inner cushion inside the outer cushion with relative ease. We’ll go over those details in tomorrow’s post. Anyway, I decided to make my inner cushion out of felt. This was mostly because I had a lot of it in my stash, but I also thought it would make the cushion even softer. I like to keep a bunch of premium felt by the yard in a neutral color on hand. You can usually find it at JoAnn Fabrics in the utility fabric section. 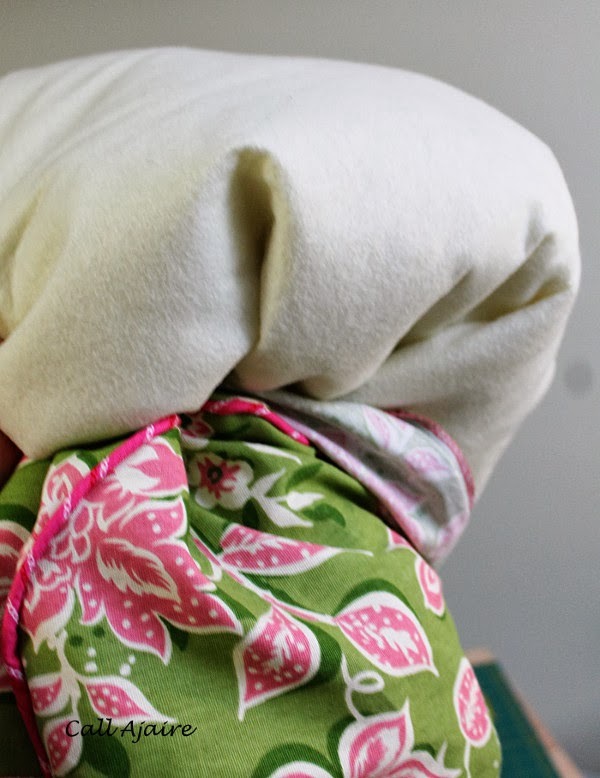 I find it’s great for quilt batting in pinch (I used it for my Reversible Table Quilt), making quick hand puppets or felt ornaments, or for anything that needs a little stuffing. It will most likely shrink so be wary of using it where you’d want to be washing it frequently and be sure to follow the care instructions. 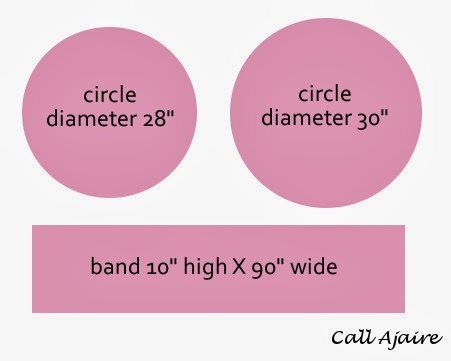 To begin with start with two felt circles which have a 14″-15″ radius (28″-30″ diameter) – one being slightly larger than the other – and a band 10″ high by about 90″ wide. I do not plan to wash this inner cushion (other than spot cleaning if necessary) so I didn’t worry about including a zipper or snap closure. If anything I wanted all the beads completely contained with absolutely no way of getting out, hehe. Step 1: Pin the band to the smaller circle with right sides together all the way around leaving a bit of the edge loose to match up the ends. Step 2: Pinch where the two ends meet. Step 3: Clip the spot where they meet to make a notch and then unpin a small section of the circle to release the band ends. Step 4: Lay the bands out flat with right sides together. 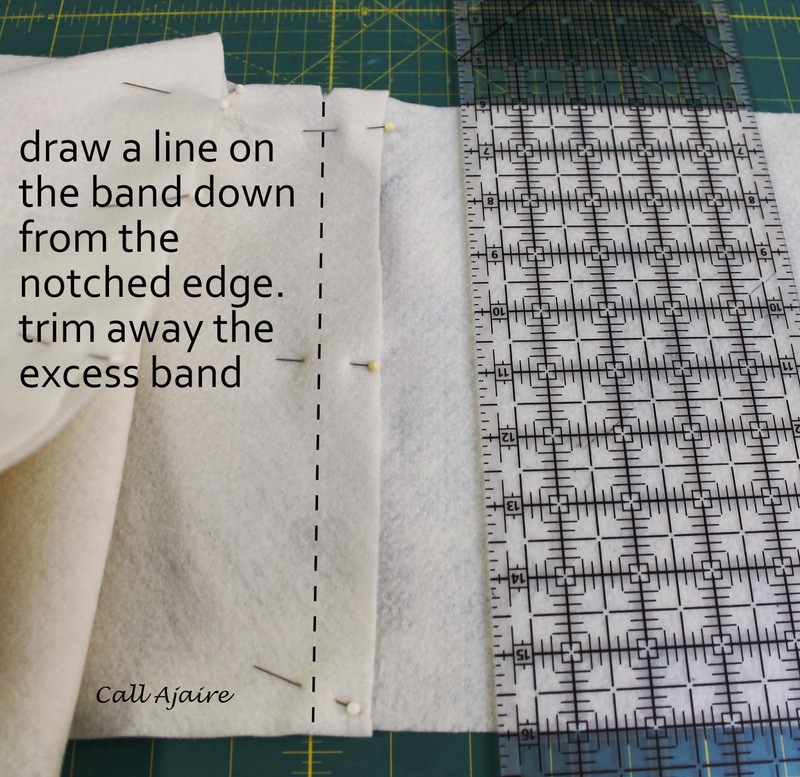 Draw a line perpendicular the the top and bottom of the band from the notch. This will be the sewing line. Feel free to trim the excess away now or you can wait until you’ve sewn the band together and have checked the fit. 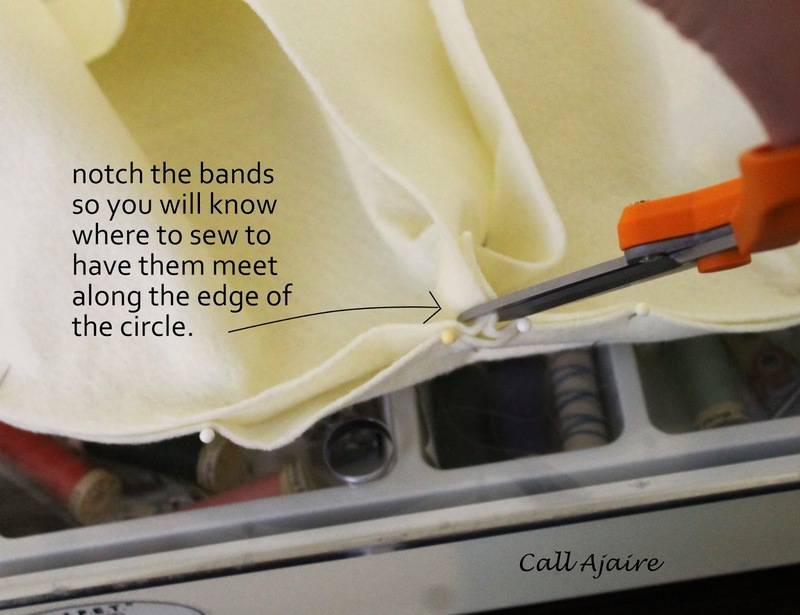 Step 5: Sew the two ends of the band together in a straight line down from where you clipped. Step 6: Repin the band to the circle and it should fit just right. 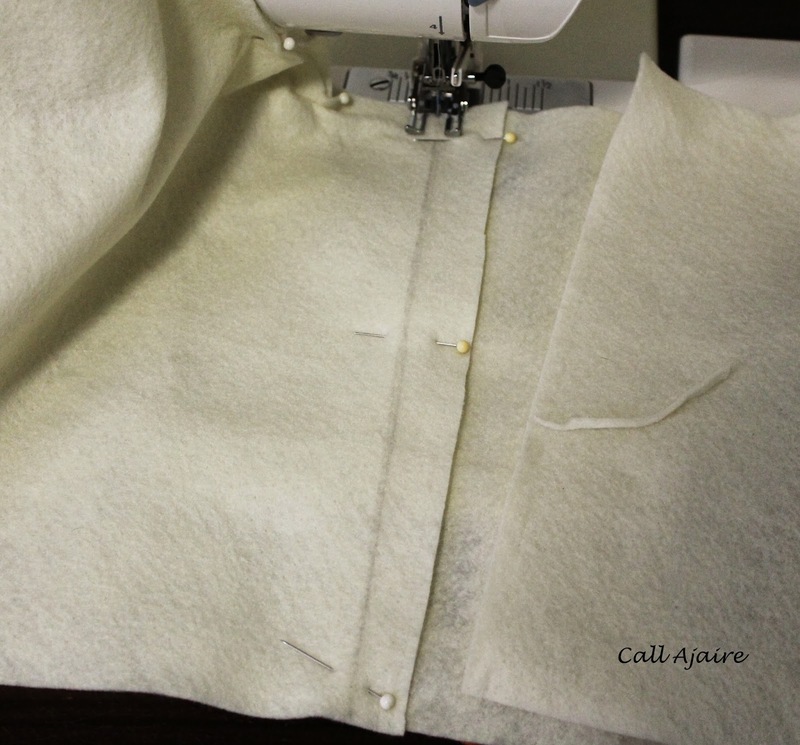 Step 7: Sew around the perimeter and then clip the seams so that the edge will lie nicely when turned. 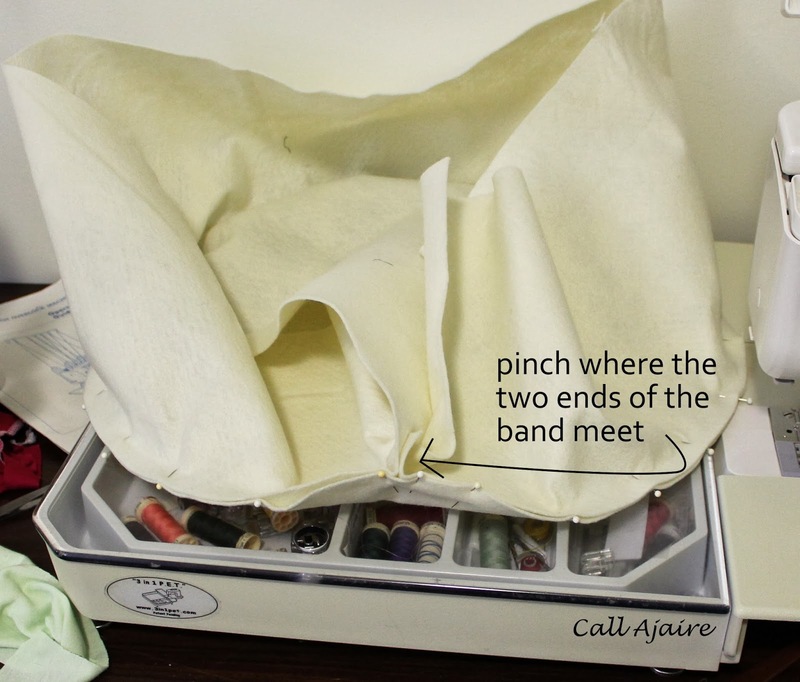 Step 8: Pin the bottom of the band to the larger circle the same way you pinned the smaller circle. You will find that the band won’t fit it exactly since you made one circle larger than the other which is what you want to happen. There will be excess circle which will stick out like a funnel. 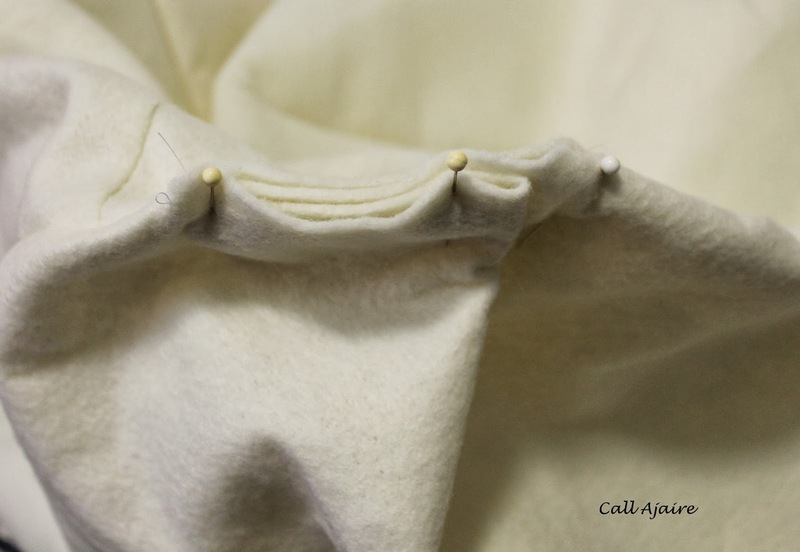 Sew the seam leaving a big section unsewn (about 4 inches plus the funnel shape from the larger circle) and trim the seams. Flip the cushion right side out and it’ll look like the picture below. See that part sticking up? It acts as a nice funnel for getting all the beans inside the bean bag in the end. We’ll fold it over and sew it up nicely later. Keep in mind that no one is really seeing this part since it’s the inner cushion anyway. I had to keep reminding myself that it didn’t have to look perfect. 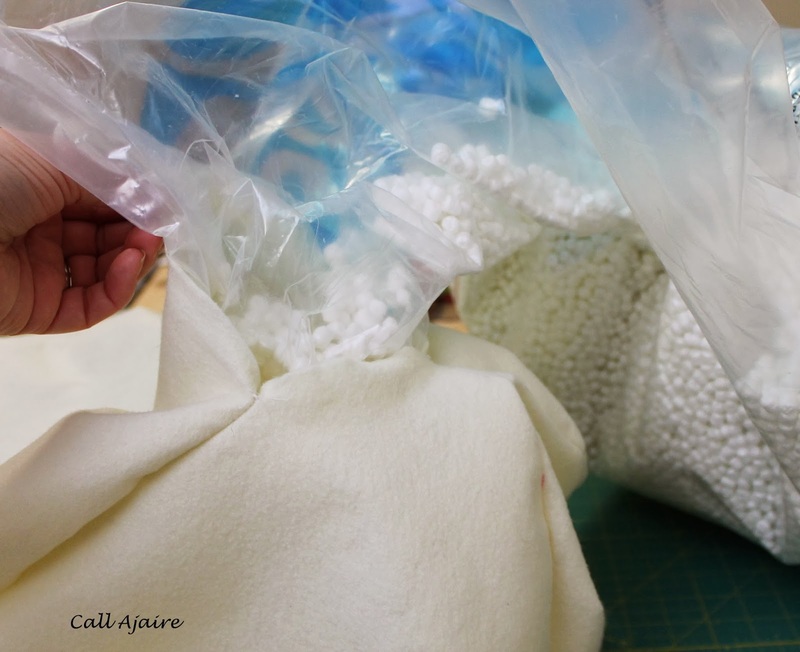 It just needs to securely contain the beans and be squishy enough to squeeze inside the removable outer cushion. Step 9: Fill the cushion with beans. I used these (*affiliate link). I have heard really good things about them and have friends who have used them and their cushions have held up well. They are basically teeny dense packing peanuts, but they are worth using. I have previously made cushions using polyfil and they never hold their shape correctly and feel a little hard. 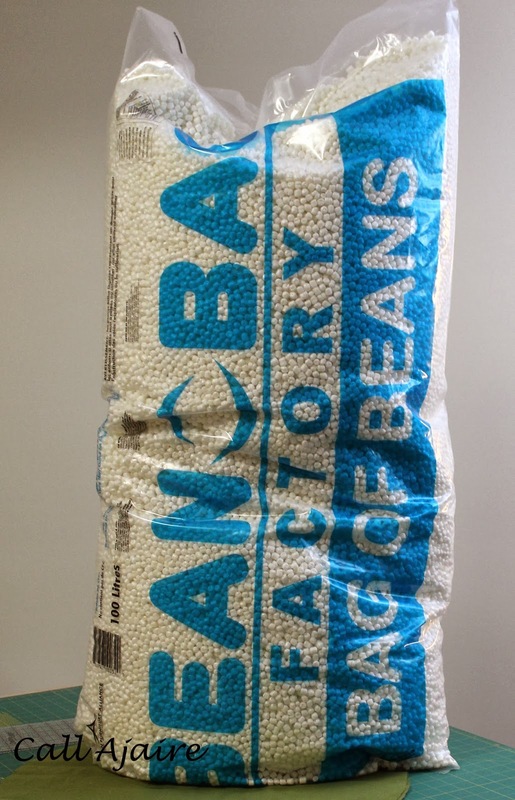 This 100 liter bag has enough beans to make at least two of these smaller sized cushions or one really huge one. The bean filling job is tedious, but that funnel shape makes it SO much easier. I’ve tried using an actual funnel before, but really introducing another tool to this process just adds to the number of things that will cause static. It was a total disaster. 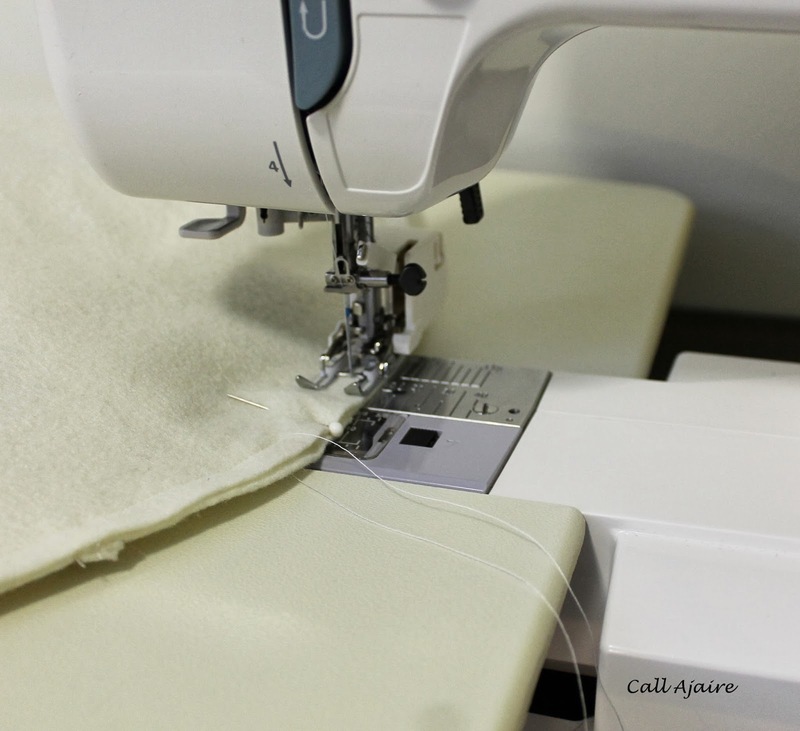 By just making a funnel shape with the fabric itself, the beans only have to get from the bag to the cushion without anything else in the way. I rubbed a dryer sheet along the edges to try to curb the static, but it’s Maryland in the winter so static is pretty much a given. Make sure to fill the cushion only about 1/2 to 3/4 full. 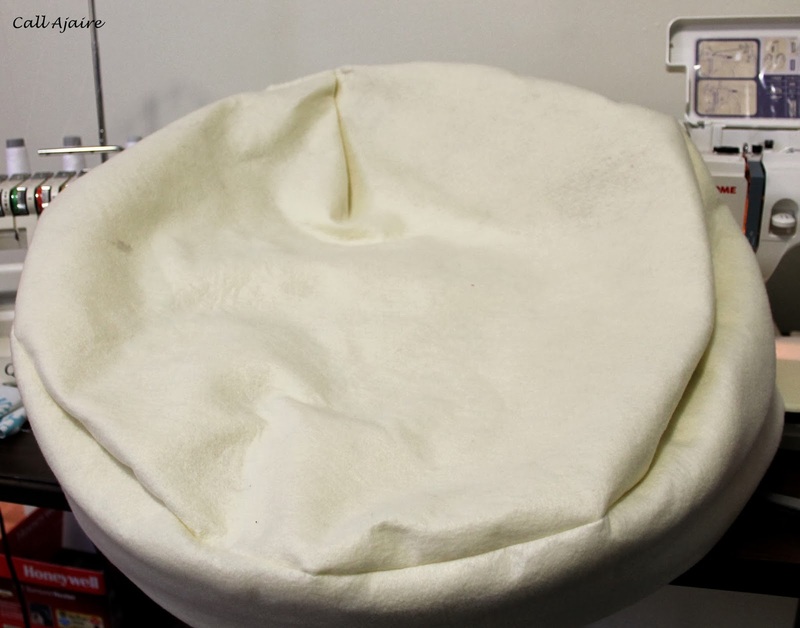 Remember that you are only filling it as much as your outer cushion cover would require so occasionally hold the opening closed and smoosh it down to see how big the cushion will be. You want the cushion to be comfortable to sit on so even once inside the outer cushion cover it should be fairly squishy and not stuffed full. Step 10: Once you have all the beans you think you’ll need in there, simply fold the opening closed. 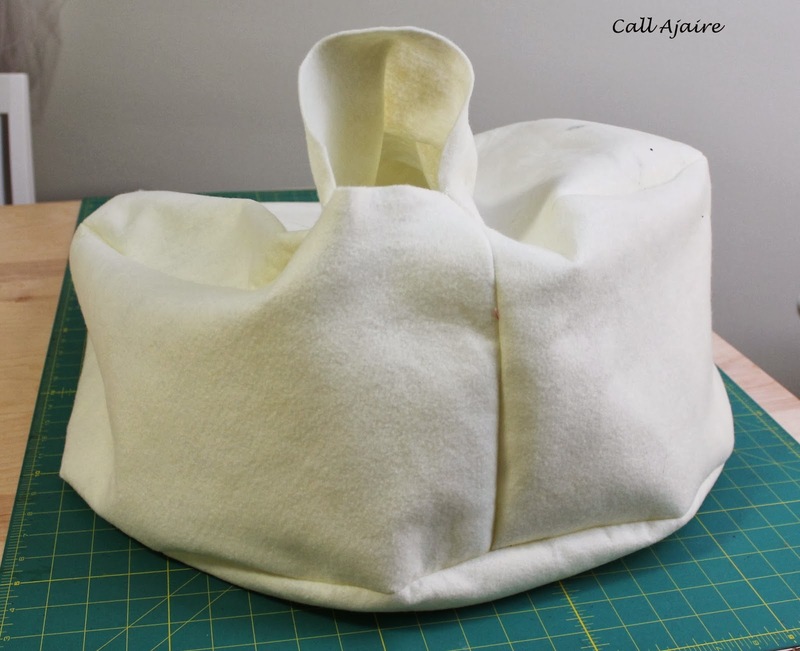 You can try to make the fold from the funnel shape of the opening as smooth as possible, but really it won’t make a difference once it’s stuffed inside the outer cushion. Step 11: Pin the fold and sew close to the edge a few times to really secure those beans in there. And here is the gorgeous (hehe) finished inner cushion. You can see in the picture above the fold that happens from the funnel shape. Trust me when I say this won’t matter later. It’s well worth the fold to make it easier to get those beans in there! And now to tide you over, I’ll leave you with this adorable picture of Bean with the cushion I made way back last February before it was sent off to its proper home. 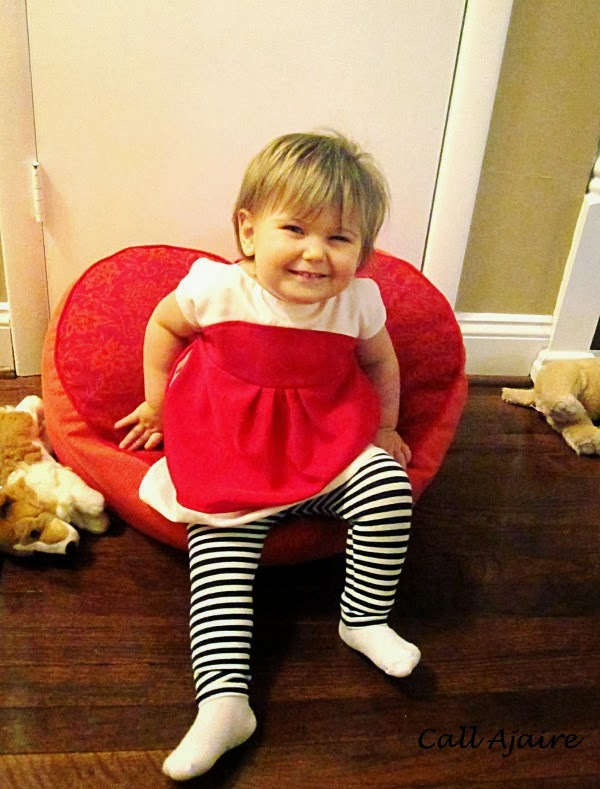 She was so small and just look at those super chubby legs and cheesey smile, hehe. **Update here is the link to the outer Removable Cushion Cover. I made some cushions similar to this for the kids with stuffing two Christmases ago I have been debating refilling them with beads like this. I'll have to check those out. Thanks! I'm intriqued. I have 6 huge bags of packing peanuts that I've held onto for 2 years. Hubby wants me to donate them but you never know when you might need 6 bags of packing peanuts. Do you think they would work, or get all smushed?